The Short Answer: Syndacast’s powerful proprietary RTB Display Advertising solution. If you’re new to RTB Display Advertising, learn more about the technology and how it could help your business from our fast track guides to RTB Display Advertising, DSP and DMP. AdBoost is Syndacast’s proprietary technology that makes precise, accurate and cost-effective digital advertising possible for your business. AdBoost helps you allocate your advertising budget to target the right audience and optimize so that you get the most out of your investment. AdBoost is built on four unique and powerful components: Data Management Platform, DSP RTB Solution, Optimization Engine and AdBoost’s Dashboard. 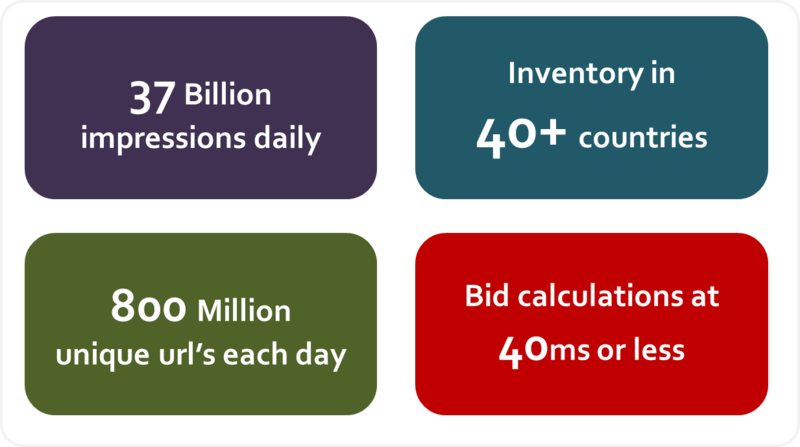 With this technology, what you’re looking at is access to 37 billion impressions daily, inventory in 40+ countries, 800 million unique url’s each day and bid calculations at 40ms or less. 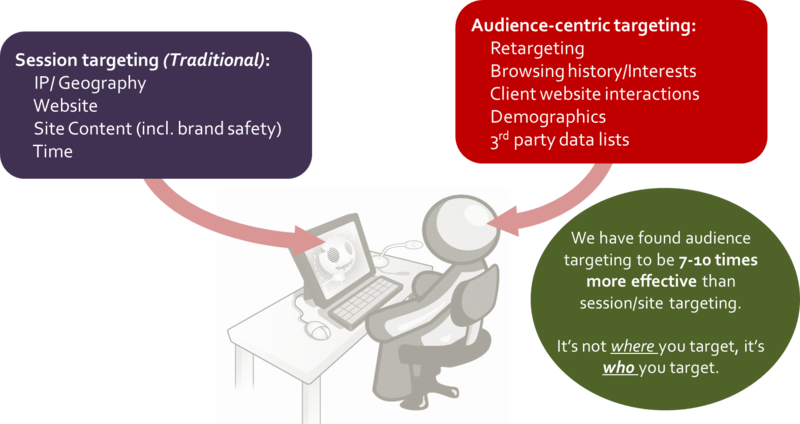 Most importantly, AdBoost exploits pioneering targeting technology to pinpoint specific audiences as well as specific sites and content types. Not 1 impression is wasted. And this is just a small peak into AdBoost. To learn how the entire system works in detail leading to precision targeting, download our full AdBoost fact sheet here. Or, prefer to learn directly from us? Feel free to contact us anytime. P.S. AdBoost is an all-in-one solution for display advertising. So if that is what you are looking for, you are at the right place. Simply drop us an email and we’ll walk you through the system.